After my dinner at Ding Cha Cafe, I decided to continue with dessert. 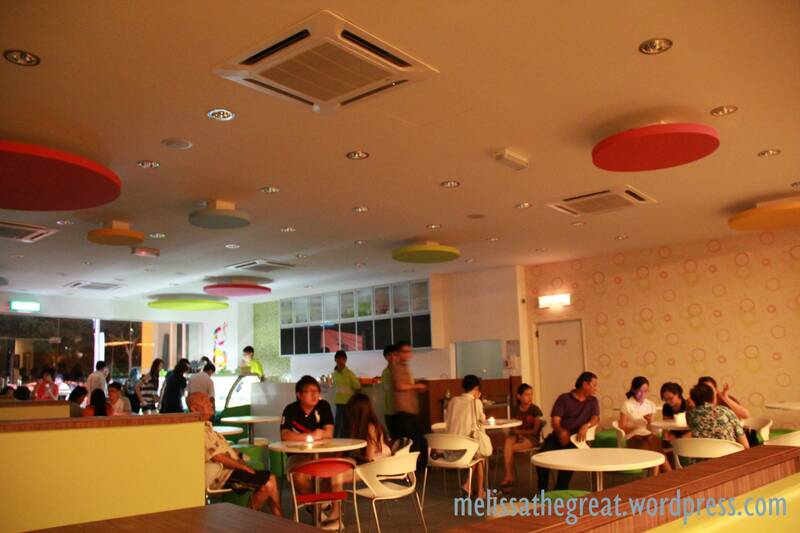 I walked few doors away to this Gelato Cafe which is also quite new. (around 2 months) Serving Gelato, an ice cream from Italy. 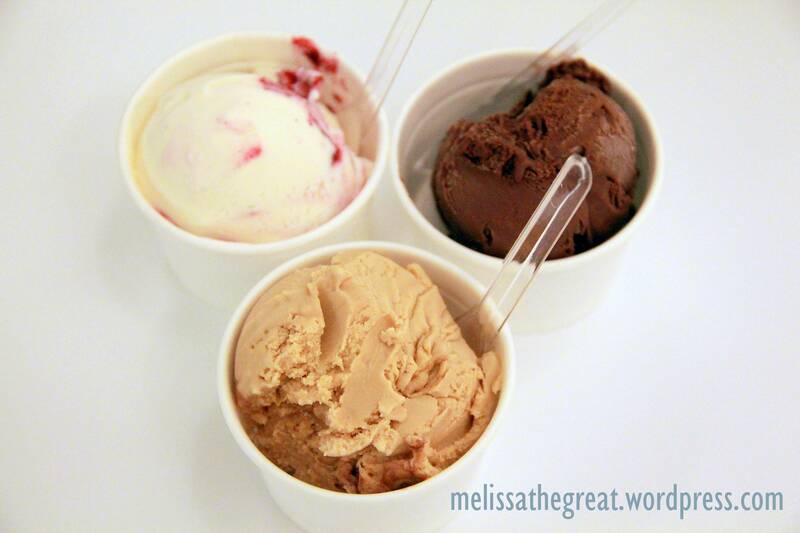 1) Gelato has significantly less butterfat than ice cream’s typical 18 and 26 percent. However, less fat does not mean less taste. 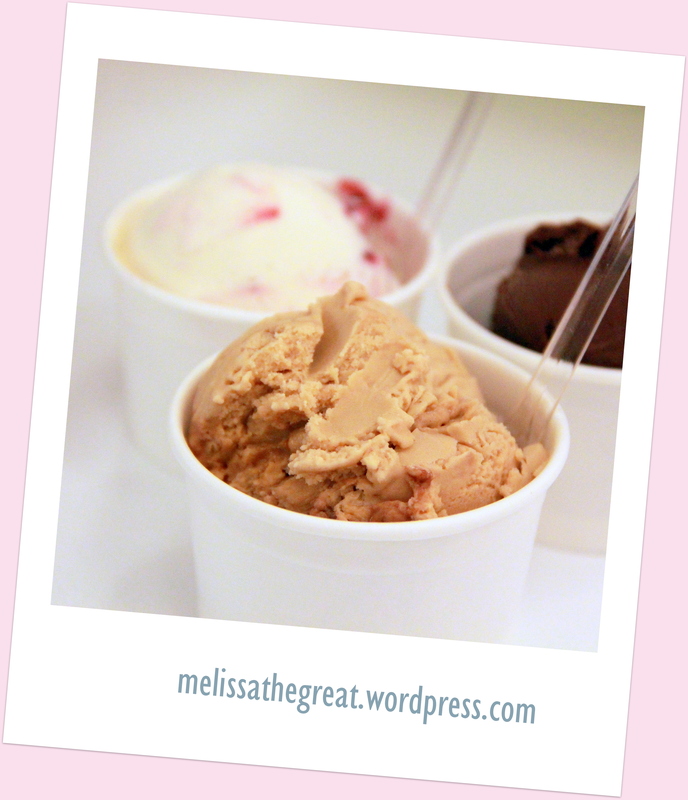 With the lower butterfat content, gelato is less solidly frozen than ice cream and melts in the mouth faster. 2) Gelato has a much higher density than ice cream. Ice cream is produced by mixing cream, milk and sugar, then adding air. Manufacturers add air to ice cream because it nearly doubles the quantity of their product. But, it cuts their quality in half. No air is added to gelato. The result is a higher quality dessert with a richer, creamier taste. 3) Gelato is served slightly warmer than ice cream. While both gelato and ice cream are served well below the freezing temperature of 32 degrees Fahrenheit, gelato is served 10 to 15 degrees warmer than ice cream. Because it is less solidly frozen, gelato’s taste is further enhanced as it melts in the mouth. Most of the ‘good’ flavors are almost finish. So laku..look at the about to empty trays. If you can’t decide which flavor to choose…well they do give free sampling. 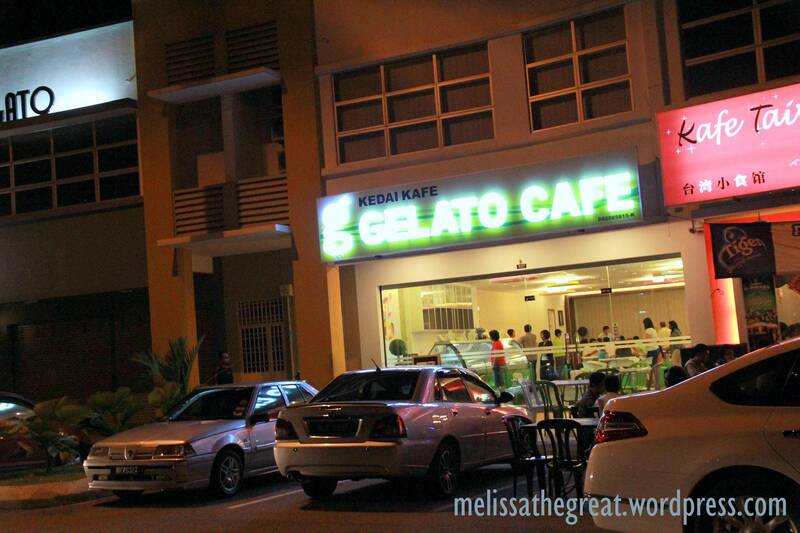 Just like other gelato kiosk in KL. 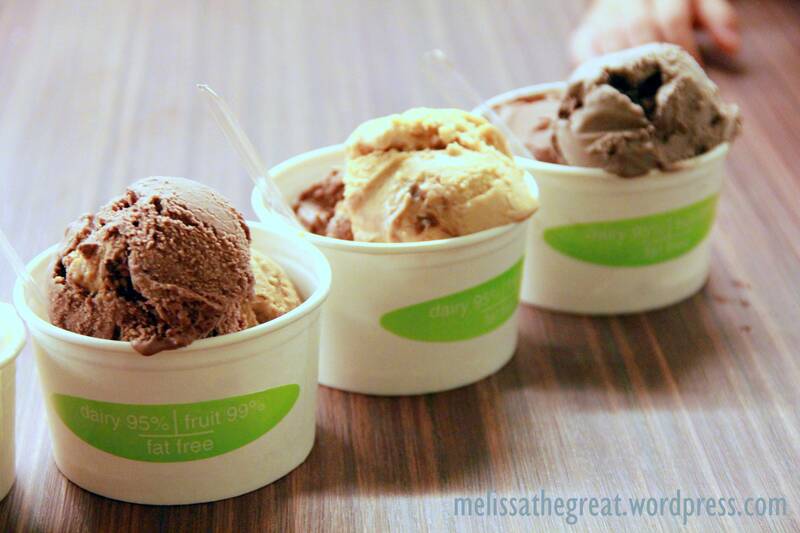 RM3.50 for a compact single scoop. Its creamy, smooth and rich in flavors. 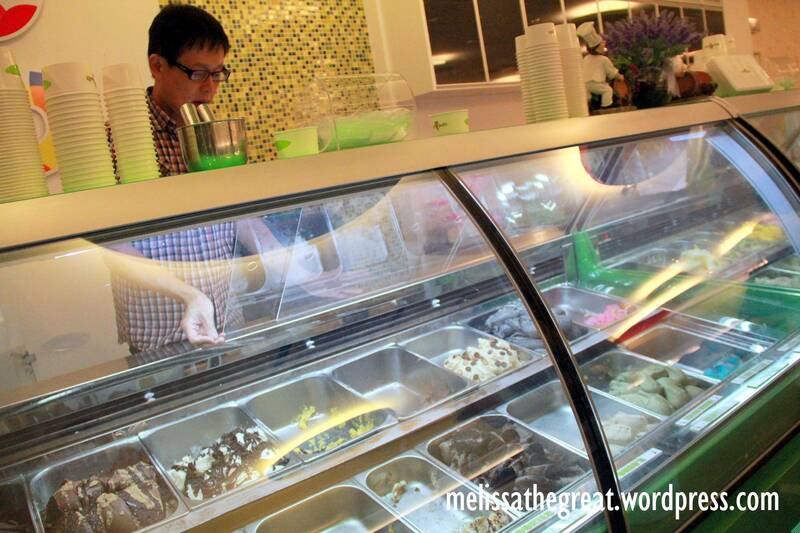 Not just Gelato…they do serve other food and snack as well as drinks. 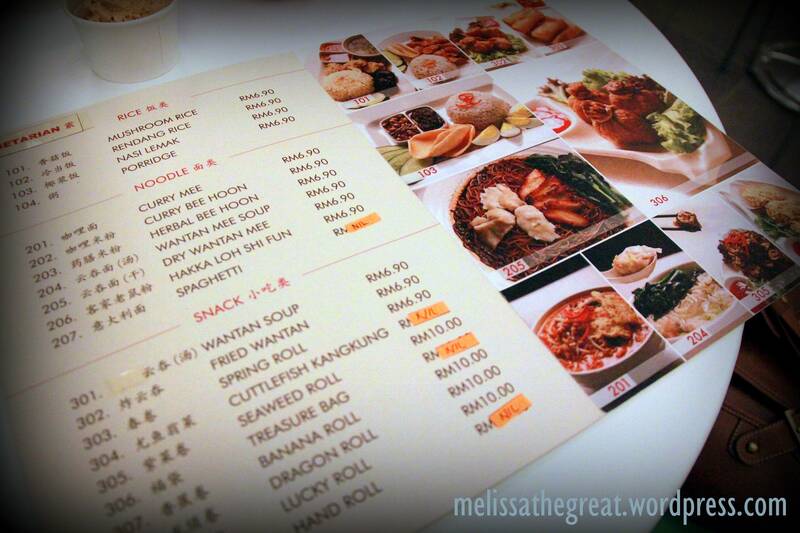 The menu above is suitable for Vegetarian. Not enough with just single scoop. I then return the following day with hubby and Sis…HAHAHA…This photo was taken during ‘Earth Hour’! They switched off most of the lights. My friend commented that I have sweet tooth. Well..she’s absolutely right. When I’m feeling down, anything sweet will definitely made my day. And chocolate is my favorite. Chocolate ice cream, chocolate cakes……. A romantic candle light ice cream….. Very sweet…. Chocolates can make u happy……n destress also…..
Do u looks like ur mum? Have a good weekend ya…. Simple Person – Muahahahaha….U really made me laugh when I read ur comment la…Hmmm…look quite alike oso ler….hahahhaha…. Choi Yen – Ohh….you must be the type of person who dislike complicated stuff?? Mmmmm, look at that gelato. Yum! This Gelato why so cheap de!!! I went to try the one my boss recommended de, they have branches in KLCC and Festival City too. The stall nampak macam cheapskate lah, but I nearly dropped my jaw when I paid, RM15.30!!!! For 2 flavors!!! @__@ They go by weight. And they will purposely make it very compact in the cup, so that it weighs more and charge you more. Ya, you get the quantity, but definitely not worth it. And I felt jelak after finished half of it only. 😦 I think I still prefer “ice-cream” than gelato. Yala…I know you are a big fans of NZ Natural! kakaka… But I quite like gelato..becos of its texture, sticky2 type. yooooo 2 of us memang opposite. I like ice-cream fresh fresh and easily melt in the mouth, stick sticky one I cannot. Hahahaha….. Macam not like eating ice-cream jor.